At Aunt Martha’s, we’re working every day – with our patients and our community partners – to build a culture of whole health. That means we’re breaking down barriers, and focusing on health and wellness that addresses comprehensive, whole person care. 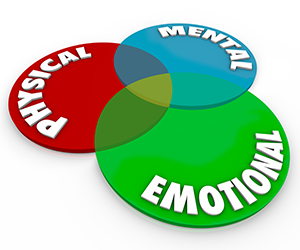 Whether they are emotional, physical, or mental, we’re going to help you address all of your needs. How are we going to do it? The answer is more simple than you think. TEAMWORK!. At Aunt Martha’s, you don’t just get a doctor – you get a care team. Our providers are constantly working together to coordinate primary and preventative medical care, dental care, mental health care and addictions treatment services to ensure the whole patient is being treated effectively. How Does Integrated Care Work? Communication: Your care team has regular face-to-face meetings to discuss your treatment and your progress toward your goals. Care Coordination: With your permission, your care team will share your information, such as medications, education needs, significant life change, etc., in real-time to successfully coordinate. Preventative Care: We will help you get screenings for issues, such as depression, cancer and chronic disease, to increase the chance of catching a problem before it becomes serious. Self-Management: Knowledge is power. Stay educated and proactively communicate with your care team. Why is Integrated Care Better for You? We’re not just working this way because our employees love working together. We’re doing it because it works! Last year, almost 80% of our patients with depression experienced significant reductions in their symptoms within 90 days of their first visit. More importantly, they continued to improve on their own in the months after their treatment. But don’t just take our word for it. Studies from across the U.S. have found that patients treated in this way appreciate that their care teams work together and talk to eachother, and that their positive experiences with mental health providers helped them learn new skills to cope with stress at work and home. Learn more about our Integrated Care Model by checking out our collection of videos, infographics, and research!